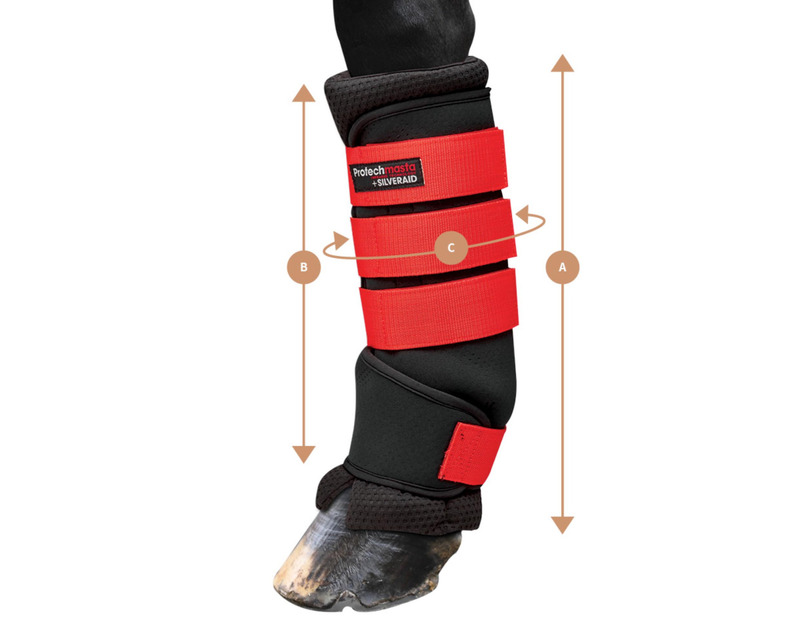 The innovative Silver Aid leg wraps are designed to aid recovery to the horse’s lower limbs as well as for general maintenance and use before and after exercise. The Protechmasta SilverAid leg wraps use two properties to benefit your horse: Protechmasta FIR (Far Infrared) rays, and SilverAid technology which uses silver ions to support the horse’s body in prevention of bacterial Infection. The Protechmasta SilverAid leg wraps use two properties to benefit your horse: Protechmasta FIR (Far Infrared) rays to assist circulation, and SilverAid technology which uses silver ions to support the horse’s body and reduces the risk of invasion from bacteria. Silver Ion Technology – This intelligent fabric releases silver ions whenever bacterial activity is present. Reducing the risk of invasion from bacteria and fungus brought about from muddy conditions. 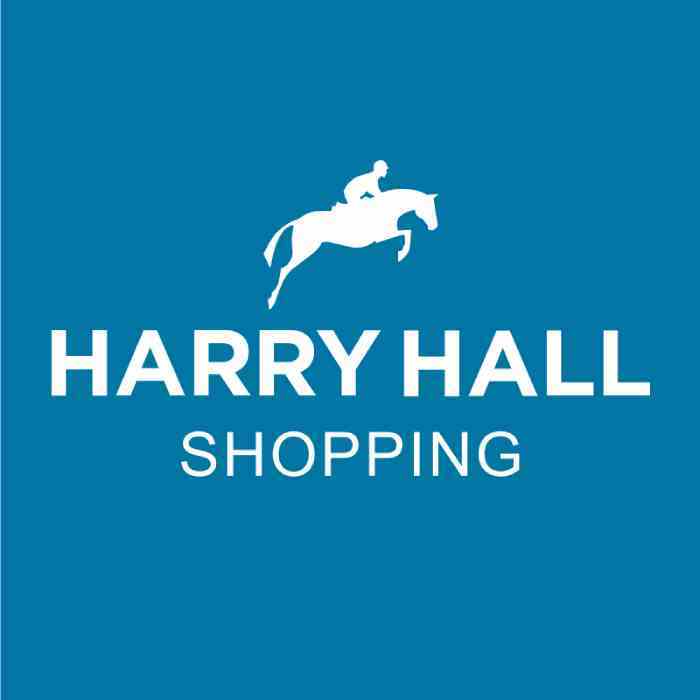 Far Infrared Technology – A naturalistic ceramic infused lining that emits a safe form of Far Infrared radiation, also known as Biogenetic Radiation, to the horse’s body, this is then reflected from the horse’s body creating a natural black body effect. Far Infrared radiation is a natural process and is scientifically proven to gently and safely assist blood circulation. Helping to support healthy joints, soft tissue, maintain healthy blood flow, ease muscle tension, support recovery and aid in helping keep structures and functions sound. Breathable - The lining and neoprene outer allows airflow to the skin surface, keeping it protected while still allowing the technologies benefits to do its work. Removable lining - The lining can be removed for washing, and the Protechmasta and +SilverAid technology won’t wash out. *DISCLAIMER* These leg wraps are intended to work alongside established treatment methods; they are not a replacement for professional medical advice or treatment. Consult your vet if you are unsure. For optimal effectiveness, make sure the legs are dry and clean before application. Measurements are given as a guide. Why use SilverAid Leg Wraps? How long is it recommended to leave SilverAid Leg Wraps on for? If your horse is new to Protechmasta start with leaving the boots on for an hour and increase each day. Leaving on overnight for a horse that is stabled is ideal, alternatively use before and after exercise. We do not recommend using for exercise or turnout. To determine which size you need, measure around the mid-point of the cannon bone and the height of the lower leg. All measurements are a guide, the SilverAid Boots have been designed with room for adjustment. These are excellent, one of my favourite products! I used them when I saw a sign of potential mud rash and literally over night the scabs disappeared. Very useful boots to have. Would highly recommend. Fit well and didn’t slip. I have bought theses boots for my mare suffering with harvest mites. She has only had them on for a few days having introduced them slowly, but so far so good. Her scabs on her legs are drying up & she is far less distressed. Would highly recommend.